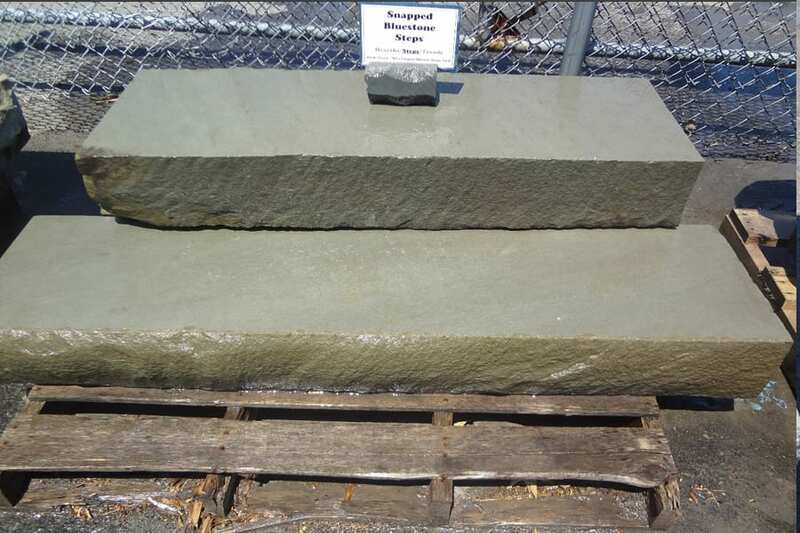 Snapped Bluestone Stone Steps are sawn top and bottom for a smooth, but not slippery surface, and snapped by a stone guillotine on 4 edges. The result is a natural edge and smooth top. Colors may vary from blue-gray only to earth tone accents. 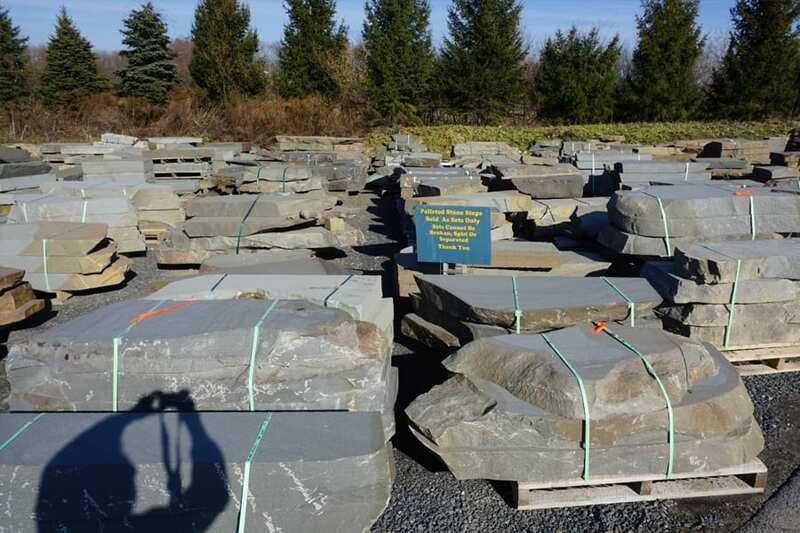 Goes with our full line of bluestone products. 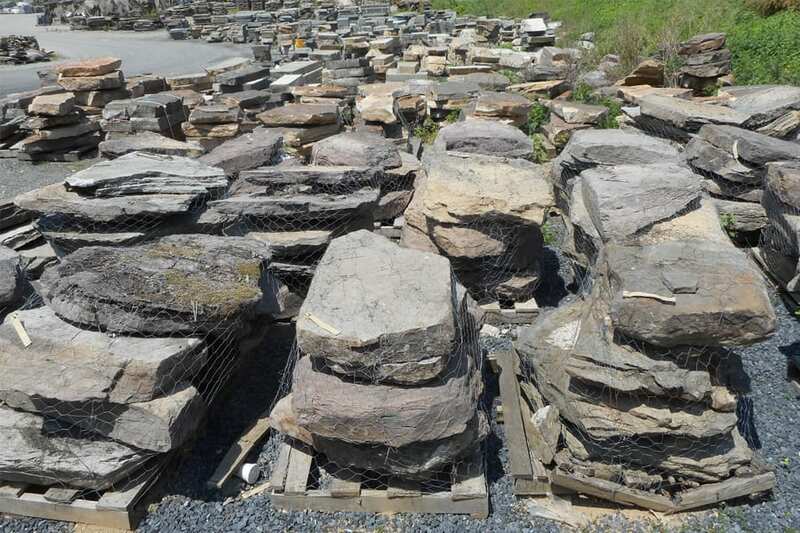 A more natural look to a bluestone step that goes with a wide range of our landscape stone. Guillotine snapped for reasonable straight edges. edges remain slightly rough as does top and bottom surfaces. Wonderfully natural looking but no where near as irregular as some of our steps.